Jesus didn’t wait until he was a “grown-up” to start serving others. Even as a child, he displayed the character of a servant. In this lesson children will learn about his example and how they can follow him. It is part 2 of the “Servanthood for Kids Series” we will be posting over the month of September. OBJECTIVE: To teach students the aspects of Jesus’ early life that supported his role as a servant. MAIN IDEA: Jesus was a servant from birth. The circumstances surrounding his childhood gave him the opportunity to experience life, so we can trust and follow his example of servanthood. Are you a single child, the oldest, youngest, or middle child in your family? When did you first learn about God and start coming to church? What are your siblings’ names? 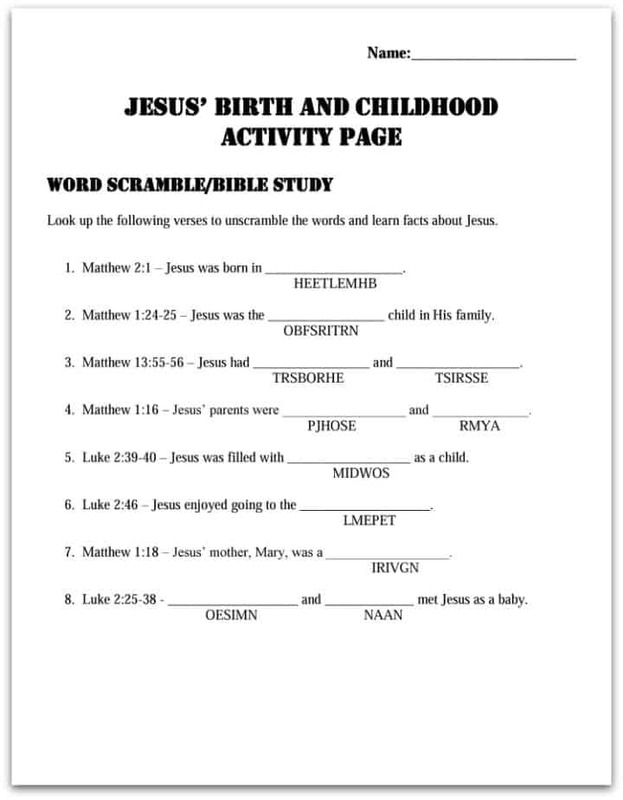 Pass out the “Jesus Birth and Childhood Activity Page” (attachment). Students will review the lesson by looking up scripture and completing the word scramble. RECAP: Jesus’ humble childhood set him up for a life of service. Even though everyone has different families, abilities, and interests, God wants to use us as servants.